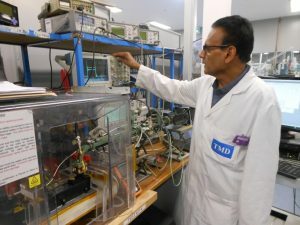 “This particular TWT has been supplied by us since the 1990s and is still in demand”, said Nigel Hann, TMD’s Head of Sales, “and this latest order is testament to the product quality as well as the strong business relationship TMD has fostered and maintained with the radar system’s prime contractor”. Commented Jane McAlister, TMD’s Sales and Business Development Director: “We are pleased and proud that our high-performance specialist microwave products are still helping to save lives. Our new, cutting edge product portfolio – based on decades of design and manufacturing expertise – is engineered to meet the exacting demands of new airborne radar platforms well into the future”.